Will Hope Mill Theatre become Manchester's Menier? Mark Shenton: Will Hope Mill Theatre become Manchester’s Menier Chocolate Factory? London’s Menier Chocolate Factory has become one of London’s biggest success stories, supplying more shows to the West End and Broadway than even the National or Royal Shakespeare Company. 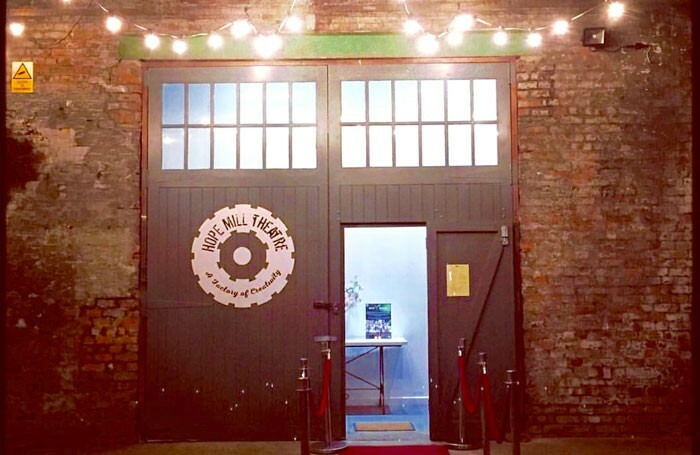 It’s a model that independent producer Katy Lipson is taking inspiration from, as she forges a new relationship with Manchester’s Hope Mill Theatre, likewise founded in a former industrial building. “I want Hope Mill to be a Menier,” she told me recently over breakfast in a Manhattan diner. She was in New York scouting new shows as part of the annual National Alliance for Musical Theatre festival. Now in its fourth year, Lipson’s From Page to Stage festival opens in London this week. Lipson is nothing if not prolific: she currently produces a portfolio of about 10 shows a year, plus the annual festival. Recent titles she has produced include Vanities: The Musical (at Trafalgar Studios), Twist of Lemmon (St James Studio), Bar Mitzvah Boy (Upstairs at the Gatehouse), See What I Wanna See (Jermyn Street Theatre), The Adventures of Pinocchio and The Who’s Tommy (Greenwich Theatre), Miss-Leading Ladies (St James Studio) and new musical The House of Mirrors and Hearts, all in London. But earlier this year she also joined forces for the first time with the Hope Mill in Manchester for a searing revival of Jason Robert Brown’s Parade, which was one of the best shows I’ve seen all year. The early success of Parade was acknowledged recently when Hope Mill won the theatre and performance category at this year’s Hospital Club awards (for which I am one of the judges). Next week Lipson is co-producing a revival at Hope Mill of the 1960s Broadway classic Hair, which I’ll be reviewing on November 15. The 2017 season opens with the UK premiere of Yank!, an Off-Broadway Second World War love story with book and lyrics by David Zellnik and music by his brother Joseph, which runs from March 9 to April 8. James Baker (who was responsible for Parade at Hope Mill) will direct. “Someone brought it to me and I fell in love with it,” Lipson says of her reason for wanting to do it. It is followed by a revival of Tim Connor and Susannah Pearse’s British musical The Stationmaster, based on Horvath’s play Judgement Day, running from September 7-30. “It’s in the same world as Parade in terms of intensity and darkness, and an example of a great new British writer we’ve found.” Connor’s Heart of Winter will also receive a showcase as part of this year’s From Page to Stage Festival, running November 11-19. Finally, the theatre will offer the UK premiere of the 2005 Broadway musical version of Louisa May Alcott’s novel Little Women (running from November 9 to December 9). If all this isn’t enough, Lipson is taking From Stage to Page to the next level. Next August it will take over the Other Palace Theatre (as the St James is being rebranded), to stage a three-week season of 25 musicals in the main house, studio and bar. “I then have an option on what to take further to full productions after we see how audiences react.” She is also joining forces to co-produce two major musicals: in January, she will join with Senbla to stage a London revival of Burt Bacharach’s only Broadway musical Promises Promises (at Southwark Playhouse from January 13), and in April she collaborates with Music and Lyrics and United Theatrical to co-produce a major UK national tour of Andrew Lippa’s 2010 Broadway musical The Addams Family, kicking off at Edinburgh Playhouse. Lipson is definitely a name to watch and these shows should be, too.